What is the ArcheAge game? ArcheAge is an MMORPG developed by Korean developer Jake Song (former developer of Lineage) and his development company, XL Games. The game was released in Korea, North America, Russian, Japan, Europe, and China for Microsoft Windows platform. PvP combats are not limited in specific area, but are feasible in everywhere in the open world of ArcheAge, Players can freely attack other players who from other factions. The forging and crafting system in ArcheAge is extensive, allowing crafting of, among other things, gears, food, vehicles, and furniture for the player's home. As the game's name indicated, the storyline happens in the primeval era, you can hunt or farm for living materials. You can have your own Mounts and Pets in ArchaAge, and they are not only used for transporting or company, they can enhance your fighting power as well. Quests are always the indispensable part of an online game, so does ArcheAge, but it provides a brand-new way for gamers to complete hard quests - You can submit unfinished quests at the cost of reducing the rewards. All players begin their journey on either the Nuia or Harihara continents, depends on their class. Why Buy ArcheAge Gold from Joymmo.com online store? ArcheAge Gold is the primary currency in the game. which can be used to purchase gears, food, vehicles, and furniture. You can earn ArcheAge Gold from farming in-game, but it takes more time of players. 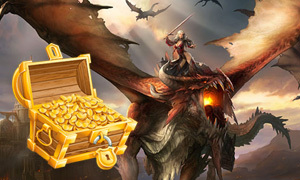 Besides, players can buy ArcheAge Gold from Joymmo.com, no matter you are a pirate, or are loyal to the Nuian or Haranya alliances, Joymmom.com is the best place for Buying ArcheAge Gold, we ensure all of orders will be delivered within 30 minutes after payment, and 24/7/365 Live Chat service system online.